We all have a wine lover (oenophile) in our lives. I have many, maybe too many. Ok, so my friends and I like our wine, don't judge. This gift guide is dedicated to winos and their refined tastes and cultured palates. Elevate their tailgates with these nifty gadgets. 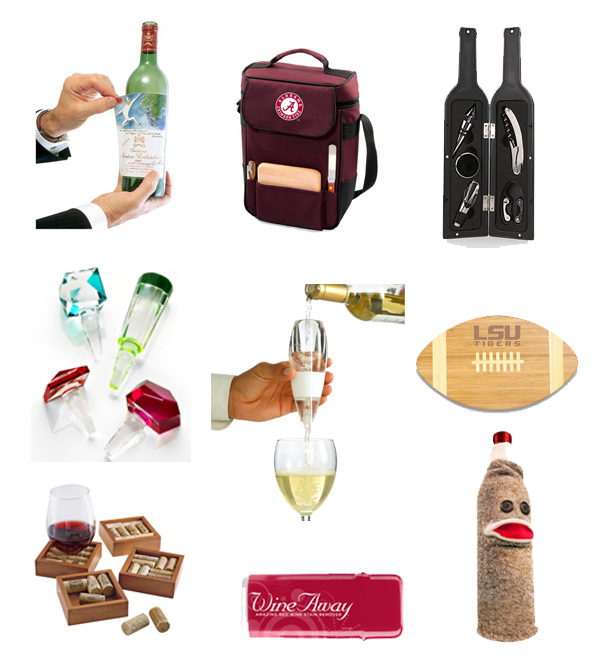 I am dying over the sock wine monkey. super cute accessories! my bf loves anything with OU on it no matter what it is!